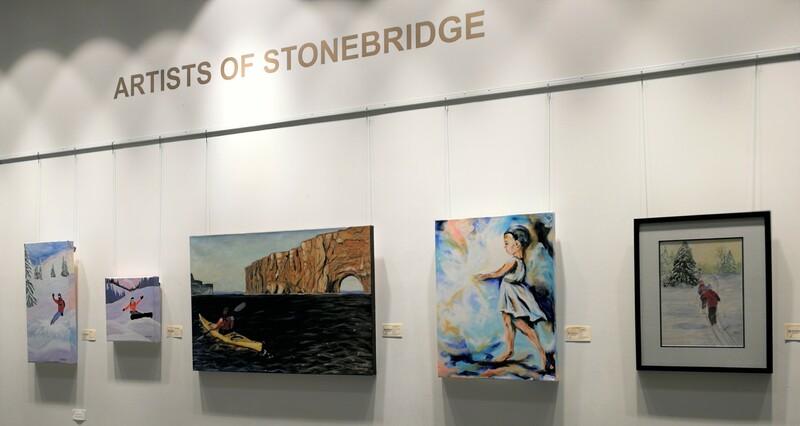 Our new exhibit at the Minto Recreation Centre in Barrhaven is on display on the 1st and 2nd floors from February 6th to April 3rd, 2019. The theme is “Just Do It” and the art works depict figures in motion. Each piece speaks to the joy of movement, whatever the season. First Floor: You Must Keep Moving, Cathy O’Brien; The Red Toboggan, Pat Jowett; Fly Me to the Moon, Alice Yen Yong; Out in Front, Cathy O’Brien; Ballet Rehearsal, Roy Ketcheson. Second Floor (by the walking track):Snow Surfing, Gotta Luv Snow!, Nicole Parent; Pause (Kayaker at Percé Rock), Elizabeth Nanninga; A Dancing Girl, Fabiola LIma; Going Home, Carmen Renaud.